The mixing time of 30 sec. in based on the minimum mixing time for ring-pan mixers according toDIN 1045. All feeding, storage and batching devices are designed for easilyflowing round material. 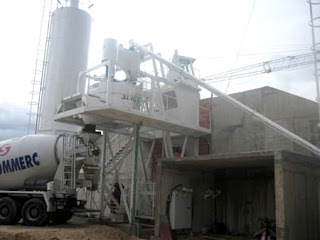 This concrete plant is making according to modern plan concept; simple, robust construction, has few movable parts, operates reliably, safely and economically throughout a long service life. 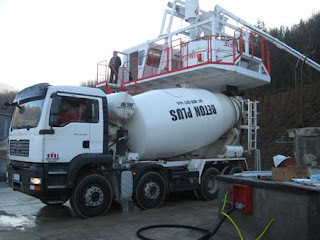 It can be use at both smaller ready – mixed concrete and concrete ware plants. Customized versions are available due to the aggregate storage modular system. Depending on the space available at the operation site and aggregate requirements, the machine can be equipped whit a dragline loader, a rectangular inline silo or a storage hopper. It is equipped whit state-of-the out microprocessor control. When designing the plane, factors such as the transport dimension of the device units ware taken into considerations. It can be erect very quickly and requires little foundation works. 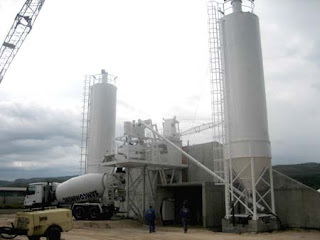 To sum up, this is mixing plants can successfully accomplish any task considering high-quality concrete production all over the world. The complete control system contains all central controls functions. All the mixed plant's work processes are automatically controlled. This read one-background lit-LCD display or PC monitors. 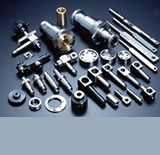 A database is integrates for mix formulas, customers, orders, and vehicles.